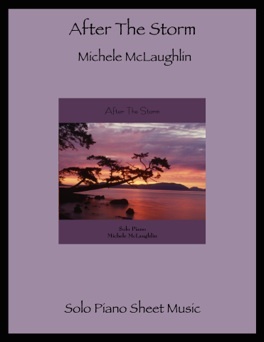 After the Storm is the companion songbook to Michele McLaughlin’s 2005 solo piano CD by the same name. All sixteen pieces from the album are included, expertly transcribed note-for-note by John Zechiel and David Shenton. 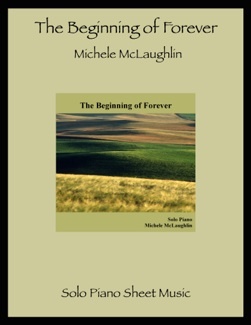 This collection has a nice variety of emotions conveyed in the music, from light-hearted and joyful to very dark. There is also a good range of playing levels, allowing less-advanced pianists to start with something quite easy and work their way into the somewhat more challenging pieces (none are what I would classify as difficult). The notation is clear and easy to read, and the steady left-hand rhythms simplify the timing. 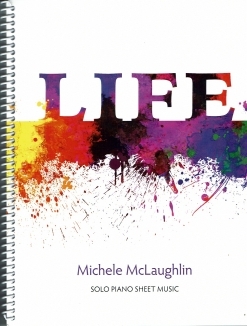 As fun to play as they are to listen to, the songs in this book will bring many hours of playing enjoyment to pianists of upper-intermediate to early advanced skills. There are several passages that are played in octaves, but there are no reaches that are more than an octave. 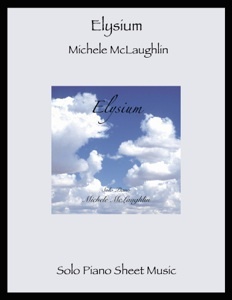 Some of my favorite pieces to play are “The Lonely Ballerina,” “Coming Home,” “After the Storm,” “Playtime at the Park,” and “Return to Camelot.” All of Michele’s sheet music and songbooks can be found on michelemclaughlin.com.